I find that this is a common response across many different businesses that deliver projects and /or don't have their own line of products. In this situation I feel that the above response is largely down to the fact that people get embroiled in the nitty-gritty of their work that they can't see the process sitting in the background. The truth is that if you look past the detail of the task in hand, should it be prone to variations, you will see generic activities behind it. These generic activities are the ones that you can focus on to improve the results of every 'variation' that then goes through your process. 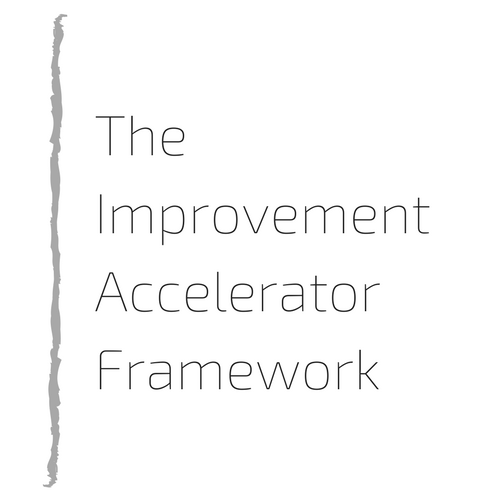 Just because every project, product or service running through your business is different to the last one doesn't mean that there aren't opportunities for improvement sitting there. There will be similarities between projects and different services are likely to share some characteristics. If you look for them you will find them. Most businesses will launch their customer orders in a similar way, process them in a similar way and despatch them in a similar way. When you stand back from the detail of the day-to-day busyness you will see the generic process much more clearly and from here you can start to plan your improvements. I ran a factory many years ago that produced bespoke products. We made the 'weird' stuff that the volume producers in our sector didn't want to touch. We made a name for ourselves as being the 'one off' people and that stuck in the minds of our staff. Everything was chaotic and the anthem of 'you can't plan and improve because you never see the same product twice' rang through the teams. 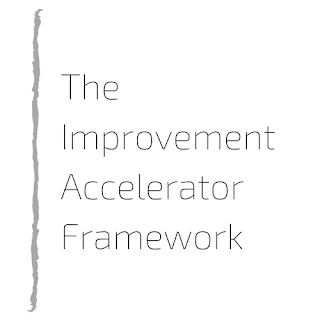 Deliver change faster with theImprovement Accelerator FrameworkClick here for more information. The fact was that we produced four generic products, some a little longer, some a little heavier and some a little prettier. We made four generic products! They all started in the same poor fashion, they all had the same generic problems and we delivered all of them late! When we stopped talking about the problems of being a one off producer and started talking about four generic families we started to make progress. We simplified the way that we handled orders, our planning was standardised and we made our reporting align with one style. Once we changed our mindset from 'it's hard because everything is different' to 'we need to become excellent at delivering four generic families' everything changed. Lead times dropped, material shortages ceased, on time delivery soared, profitability notably improved and customer satisfaction went through the roof. If you feel stuck because you don't have the 'luxury' of a moving production line with a limited number of products then think again. There is a generic process lurking in the background for you to take advantage of and a raft of benefits attached. Is today the day to step back and look for the generic business sitting underneath the one you see day-to-day?